10.5"W x 68"L. Stripe pattern. 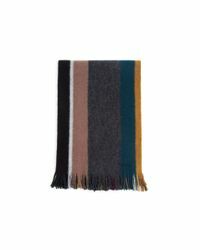 Tassels extend pattern of scarf on both ends. 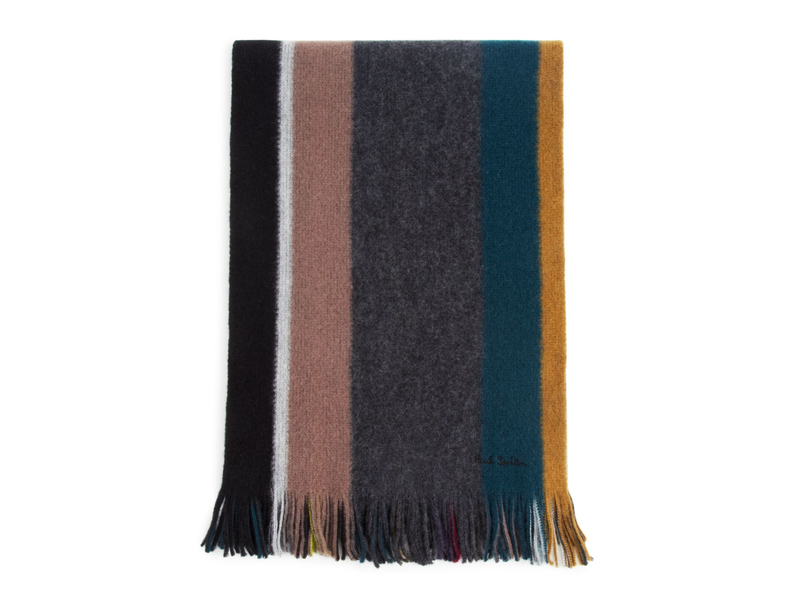 Black Paul Smith logo knited into end of scarf. Wool. Dry clean. Made in Germany.